Ben is a founding partner and the managing partner of C&G Law. Ben specializes in litigation and arbitration, and also has experience in corporate and commercial transaction work in the energy sector. 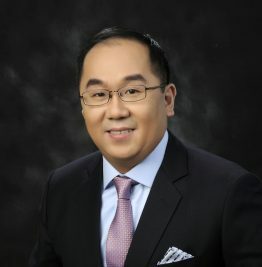 Ben’s litigation and arbitration experience led him to be named by AsiaLaw as a leading Philippine lawyer in dispute resolution and litigation from 2015 to 2018, and as Disputes Star of the Year for the Philippines for 2018. His experience in these fields also led him to be named by Chambers Asia-Pacific as a leading Philippine lawyer in Dispute Resolution: Arbitration in its 2015 to 2018 Asia-Pacific publications, as well as a leading Philippine lawyer in Dispute Resolution in its 2018 edition. He has also been recognised as a leading Philippine individual in Dispute Resolution by The Legal 500 Asia Pacific from 2015 to 2018. In addition, Ben’s corporate and commercial work earned him citations as a leading Philippine lawyer in the corporate/commercial field by Chambers Asia-Pacific in its 2012 to 2014, and 2018, Asia-Pacific publications. Prior to founding C&G Law in February 2007, Ben was a junior associate (from 1998 to 2003) and senior associate (from 2003 until 2007) at SyCip Salazar Hernandez & Gatmaitan. Ben is heavily involved in the litigation and arbitration department of C&G Law. He has appeared and argued before Philippine courts and quasi-judicial bodies of all levels. Ben has also handled and tried a broad range of cases involving commercial and contract disputes, construction disputes, corporate restructuring and rehabilitation, debt recovery, enforcement of foreign judgements and arbitral awards, infrastructure and engineering disputes, intra-corporate controversies, product liability and tort. Heading the firm’s team as Philippine counsel for one of the world’s largest multinational chocolate and confectionary company in a multi-million-dollar arbitration before the International Chamber of Commerce (“ICC”) and related court proceedings in the Philippines against a former distributor of the company’s products in the Philippines. The dispute was eventually settled to the satisfaction of the client. The arbitration was seated in Hong Kong. Heading the firm’s team as Philippine counsel for a leading Philippine geothermal power generation company in a multi-million dollar ICC arbitration involving disputes with its turnkey contractor. The dispute was eventually settled to the satisfaction of the client. The arbitration was seated in Singapore. Acting as an ICC-appointed neutral expert (on Philippine law) in an ICC arbitration involving an American company and a Philippine company. The arbitration was seated in Manila. Heading the firm’s team as Philippine counsel for two Philippine solar industry companies in the successful prosecution of a multi-million-dollar ICC arbitration against their American counterparty. The arbitration was seated in Hong Kong. Heading the firm’s team as Philippine counsel for two Philippine solar industry companies in the successful prosecution of a multi-million-dollar ICC arbitration against their Korean counterparty. The arbitration was seated in Hong Kong. Heading the firm’s team as Philippine counsel for a leading Philippine geothermal power generation company in a multi-million-dollar ICC arbitration (including emergency arbitrator proceedings) and related court proceedings in the Philippines, Singapore and England against one of its contractors. The dispute was eventually settled to the satisfaction of the client. The arbitration was seated in Singapore. Heading the firm’s team in an ICC arbitration involving a leading Philippine power generation company and two major multinational oil companies. The disputes were eventually settled to the satisfaction of the client. The arbitration was seated in Hong Kong. Assisting a leading Philippine hydro-energy company in an ICC arbitration and several court proceedings against its turnkey contractor. Acting as secretary to an arbitral tribunal chaired by former Philippine Supreme Court Justice and World Trade Organisation appellate body Chairman Florentino P. Feliciano, and was responsible for the administration of the arbitration proceedings and drafted various orders and the final award for the tribunal. Advised Team Orion (an Ayala-Aboitiz consortium) on its bid for the financing, design, construction, operation, and maintenance of the CALA Expressway Project. Co-led the team that acted for Team Orion in proceedings before the Philippines’ Office of the President in relation to disputes arising out of this project. Advised AAA Airport Partners, the consortium of A2 Airport Partners, Inc. (an Ayala-Aboitiz company) and ADC & HAS Airports Worldwide, Inc., in relation to its bid for the Mactan Cebu International Airport Project. Advised Therma South, Inc. on the financing, construction and regulatory approvals of a 300-MW coal-fired plant in Davao, Philippines. Assisting Therma Luzon, Inc. with the fuel supply requirements of a 735-MW coal-fired plant in Pagbilao, Philippines. Advised Redondo Peninsula Energy, Inc. on the fuel supply requirements of a 600-MW coal-fired plant in Zambales, Philippines. Assisting Energy Development Corporation with its construction, relocation and electro-mechanical contracts in connection with the relocation of a 49.4-MW geothermal plant from one location to another in Negros, Philippines. Named as “Disputes Star of the Year for the Philippines” by Asialaw during the Asialaw Dispute Resolution Awards for 2017. Ranked in Dispute Resolution: Arbitration (Band 1) by Chambers Asia-Pacific (2018 Edition). Previously ranked in Band 2 in this field in its 2015 to 2017 editions. Named as a Leading Lawyer in Dispute Resolution: International Arbitration by Asialawin its 2015 and 2018 editions. Named as a Future Leader for Arbitration by Global Arbitration Reviewand Who’s Who Legal in 2017. Named as a Leading Individual, Dispute Resolution (Band 1) by The Legal 500 Asia-Pacific (2018 Edition). Also recognised as a Leading Individual in this field in its 2015 to 2017 editions. Ranked in Corporate & Commercial (Band 3) by Chambers Asia-Pacificin its 2012 to 2014 editions. Also named as a Recognised Practitioner in this field in its 2018 edition. Co-authored the Philippine chapter of The Dispute Resolution Review, 5thpublished by the Law Business Research Ltd of the UK in 2013. Co-authored several articles on doing business in the Philippines and dispute resolution that were published by the International Financial Law Review in 2011 and 2012. Co-authored several articles on doing business and dispute resolution published by the American Bar Association in 2005, 2006 and 2010.